How You Can Benefit...And A Free Giveaway! Did you know that indoor humidity levels should ideally remain between 30 and 50 percent? I mean, it would make sense right? But I confess, I was not aware of this. Humidifiers are generally more sought after during the winter months due to the atmospheric humidity levels being so low and heating systems that tend to dry air out are in use. But they can really benefit you all year around in many ways. 1.) Helping Dry S kin.When the humidity is below average in your home or at work your skin tends to dry out much faster. Dry flakes and chapped lips are always something we try to avoid. By using a small humidifier in your bedroom or living room you can increase the humidity levels and soothe as well as repair dry irritated skin issues. Low humidity levels also increase symptoms of eczema. Psoriasis, thyroid disorders, topical medications for acne, and cosmetics also cause dry skin that can be calmed and soothed with a humidifier. 2.) Treating Colds, Flu, and Seasonal Allergies. Just how dry air can dry out your skin, it can also cause irritation in the nose, nasal passages, sinuses, mouth, throat and eyes. Humidifiers assist in preventing nose bleeds in those prone to them when due to dry nasal passages, Therefore humidifiers benefit people with a cold, flu or allergies. They even serve as a preventative measure, reducing or eliminating viruses and bacteria that live and multiply in dry air. 3.) Ease Asthma In Adults And Children. If you or someone that you know does have this condition please check with a doctor before using a humidifier but it is said that with a clean humidifiers you may use it in your benefit to free the air of asthma irritants. 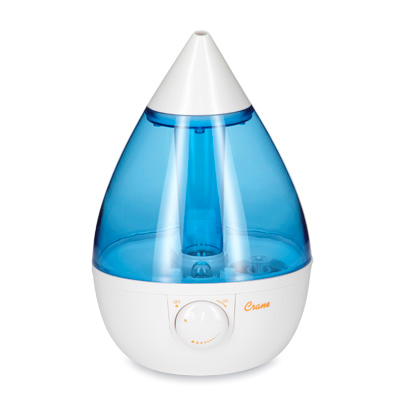 Our favorite humidifier on the market right now has to be the drop humidifiers that you can find at Crane. They work like a charm and are sleekly designed to be a perfect fit in any room of your home. It's 360 degree mist nozzle and variable control settings make it easy to use and its auto safety shut off is perfect when using this in your little ones room. Oh and did I mention I'm giving you the chance to win one today?! Good Luck! Although I was given this product to review, all opinions are 100% my own. This blog is not responsible for prize fulfillment. This giveaway is no way sponsored, endorsed, associated, or administered by Facebook, Twitter, Pinterest or Instagram. I did not know that about humidity at all! Good to know! I actually have a pink drop one on my registry for when baby gets here! Luckily, we've always lived in pretty humid environments, but I do use these things like crazy when the little ones are sick. Our current one is on it's last leg. 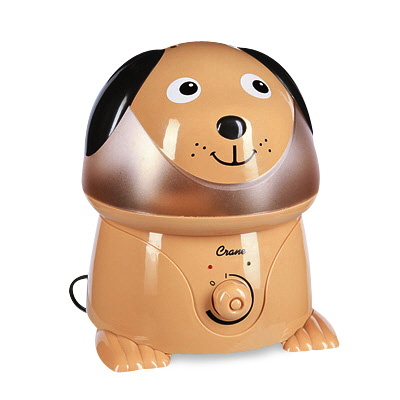 I've been wanting to try one of those Crane humidifiers for my boys. They would love it! Love using a humidifier when my little ones are sick.